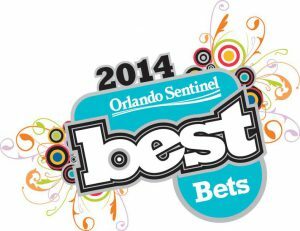 Each year, the readers of the Orlando Sentinel vote on the best entertainment and services of Central Florida. Voting is divided into five categories: dining and restaurants, home and services, recreation and entertainment, shopping, and wellness and personal style. 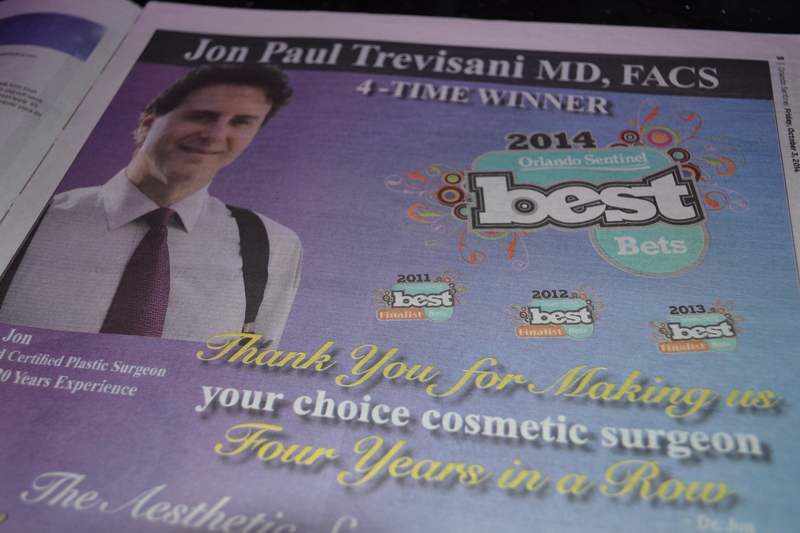 For the fourth year in a row, Dr. Jon Trevisani has had the pleasure and the honor of being voted as Central Florida’s Best Cosmetic Surgeon. 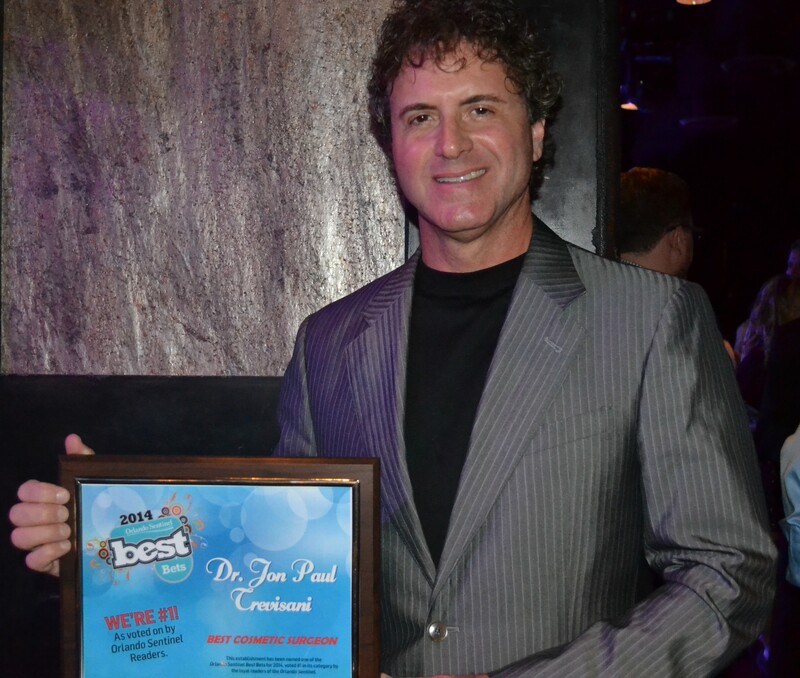 Dr. Jon Paul Trevisani says he is particularly proud to be a recipient of the Orlando Sentinel’s “Best Bets” award because the voting is reader-driven and represents the voices of some of our patients. Since valuing and caring for each individual patient is at the core of The Aesthetic Surgery Center’s mission as a plastic surgery provider, being recognized by our patients and the public is a particularly rewarding experience. Awards such as this one bolsters our practice’s commitment to serve the aesthetic needs of our community and hold ourselves to the highest standards of patient care. Dr. Jon Paul Trevisani earned his medical degree from the University of Nebraska Medical School, then continued his surgical training at the University of Kansas Medical Center where he completed five years of general surgery training. 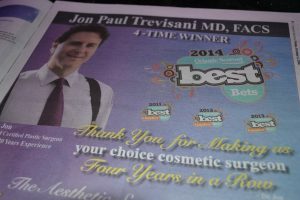 Dr. Jon Paul Trevisani then completed his plastic surgery residency at the University of Rochester. He is certified by the American Board of Plastic Surgery, is a fellow of the American College of Surgeons, and is a member of the American Society for Aesthetic Plastic Surgery and the American Society of Plastic Surgeons. 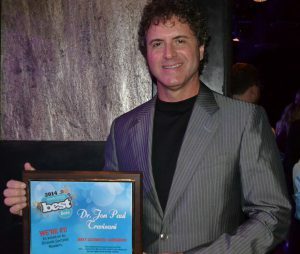 The Aesthetic Surgery Centre is located at 413 Lake Howell Road Maitland, FL 32751, and can be reached at (407) 677-8999, or found online at jptrev.com or facebook.com/DrJonTrevisani.